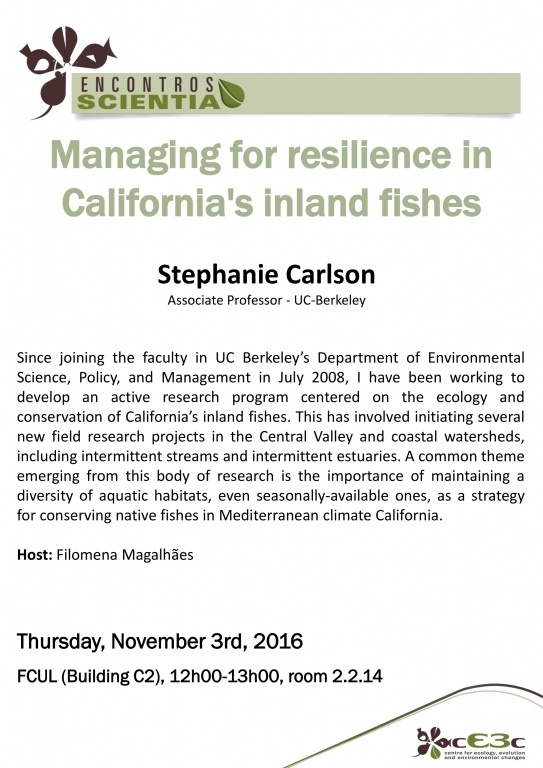 Since joining the faculty in UC Berkeley's Department of Environmental Science, Policy and Management in July 2008, I have been working to develop an active research program centered on the ecology and conservation of California's inland fishes. This has involved initiating several new field research projects in the Central Valley and coastal watersheds, including imtermittent streams and intermittend estuaries. A common theme emerging from this body of research is the importance of maintaining a diversity of aquatic habitats, even seasonally-available ones, as a strategy for conserving native fishes in the Mediterranean climate California. As an undergraduate at UC-Davis, I was inspired by Peter Moyle to study fish ecology. This led to a MS studying the ecology of stream-dwelling brook and brown trout with Ben Letcher at UMass Amherst. Following this experience, I joined Tom Quinn’s lab at UW where I studied the evolutionary ecology of Pacific salmon with a focus on the evolutionary effects of bear predation on sockeye salmon. After a short postdoctoral position at UC-Santa Cruz with Marc Mangel, I started my current position at UC-Berkeley. 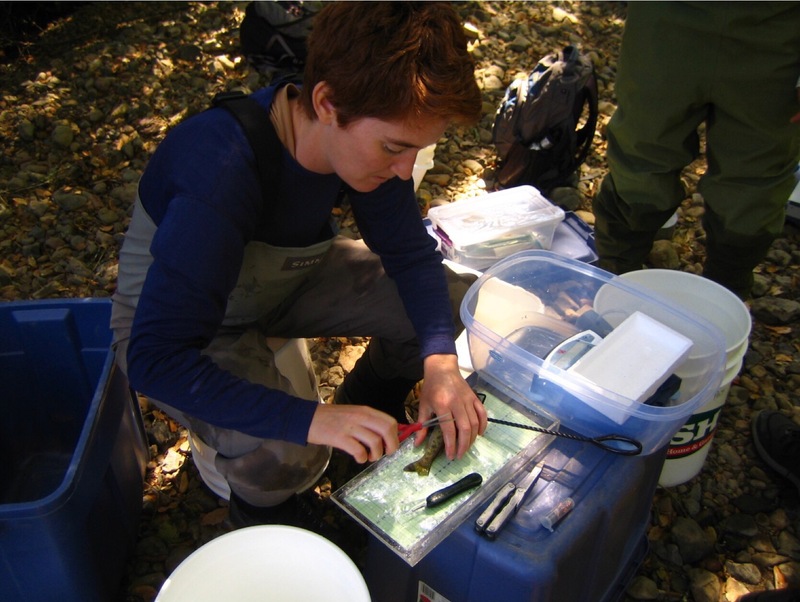 My primary research interest has been and continues to be in understanding the dynamics of freshwater fish populations, particularly the factors that shape these populations and influence their persistence. While I typically study fish, I am interested in questions that transcend taxonomic divides. For example, my current research program seeks to understand the ecological context for variation in population dynamics and natural selection acting on natural populations.